Ikeuchi Hikaru (Kurashina Kana) works for a design company in Tokyo and has a fianc&#233; Okugawa Kota (Miura Shohei). 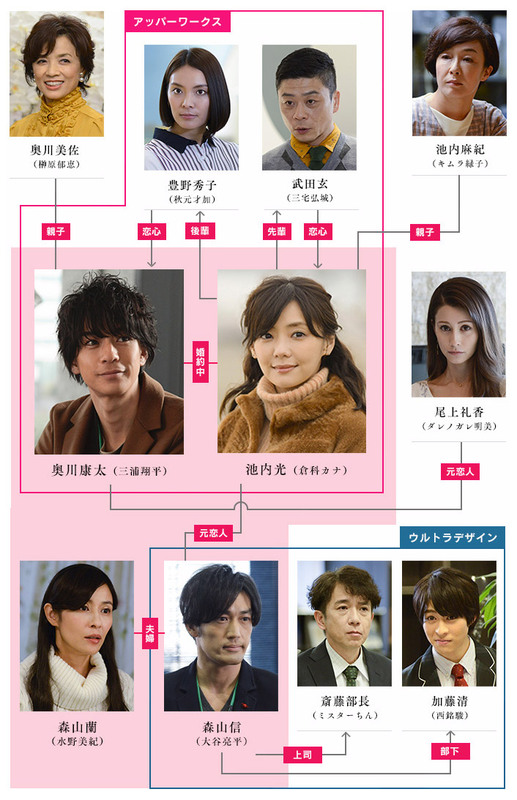 However, her life suddenly changes with the appearance of her ex-boyfriend Moriyama Shin (Otanin Ryohei). She had once loved him to death but he vanished all of a sudden after telling her that they are breaking up. The feelings that Hikaru has tried to suppress are rekindled when she is reunited with Shin, who is in Tokyo for three months, and her heart seeks him even though he is now married with a wife, Ran (Mizuno Miki). As this happens, Kota�fs love and jealousy deepens and he gradually turns into someone he hates. The combined IQ of all the main characters do not add up to a regular human. Hikaru's mother is about the only normal person. The drama should have been call "A series of avoidable events"